Suhana’s behavior towards her married life has totally changed. Her affection for Ramiz took a new turn. She hides her feelings from Ramiz but in reality is totally in love with him. Imtiyaz has started getting suspicious about Rameez and Suhana’s relationship. Suhana’s changed behavior towards Ramiz has put Imtiyaz into doubts. Not just Imtiyaz, Jeena has also started getting more possessive about her fiancÃ© and engagement. Imtiyaz left for Istanbul for business purposes and Jeena had to go to Lahore. Rameez and Suhana got a chance to meet on everyday basis. Imtiyaz brought Manzurah at his home for Suhana. Before leaving, Imtiyaz stopped Suhana from going to her boutique because of the recent accident, but she did not obey him. Using boutique as an excuse, Suhana started meeting Rameez. Although, she showed no interest in front of him, but meeting Ramiz is an interest in itself. Rameez had started blackmailing Suhana emotionally to meet him whenever he felt like being with her. Suhana, who has no control over her feelings could not stop herself from meeting Ramiz. She had also stopped contacting her husband which mad him worried about her. Imtiyaz’s mother was also reluctant about Suhana joining her boutique but she let it go as she didn’t want to force herself on her being a good mother-in-law. Imtiyaz, on the other hand, came back to Pakistan a little earlier to surprise Suhana. On reaching home, he was surprised to find out that Suhana is not home. While Ramiz was planning to go to meet her at her boutique, Suhana was busy meeting Rameez. To find out what happens when Imtiyaz reaches Suhana’s boutique watch the next episode of Teri Raza. 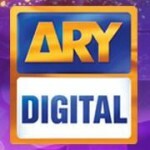 Every Thursday at 8:00 pm only on ARY Digital. ARY FILM FESTIVAL IS BACK AGAIN!